Try it once, use it forever! Add Us : Cartiere di Trevi S.p.A.
Shuffle the cards: try our new interbedded colored sheets pallets. Recycled cardboard producers since 1960. Specialized in paper for corrugators, boxes, packaging, tubes, cones, tissue paper cores, edge corners, honeycombs, interleavings, folders, placemats, and colored paper, all 100% recycled and FSC certified in reels, strips and sheets. Our paper mill is in Trevi, the heart of Umbria. 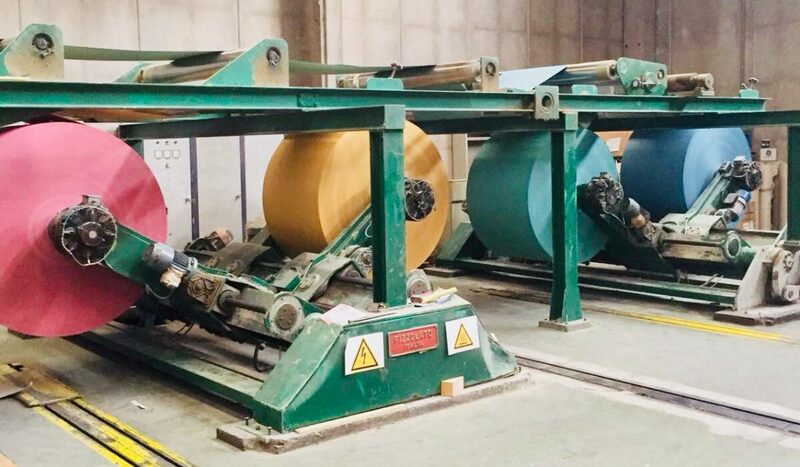 We work in a continuous cycle, 24 hours a day and we are committed to serving our customers the best quality paperboard for tubes, tissue paper cores, towels and cardboard for corrugators. Once tried our paper, you will keep using it forever. Try it once, use it forever. News, Products, Events and Greetings... Never SPAM! Do not show it anymore.